After an extensive national search, Nikki Koontz has been named Executive Director of University Marketing and Communications at Southern Utah University. As the most senior marketing leader at the university, Koontz is responsible for the SUU brand with a distinct focus on the development and implementation of a comprehensive, integrated and strategic marketing and communications plan. 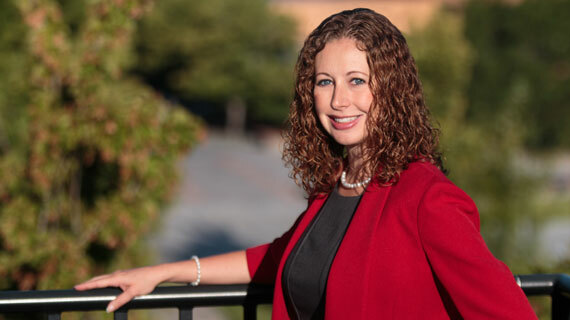 She reports to Stuart Jones, vice president for advancement and enrollment management, who oversees the development of funds and scholarships from donors, recruitment, admissions, and marketing efforts. Koontz has been serving as interim executive director since June 2018 and officially started in her new role as executive director on August 6. Prior to serving as interim, Koontz worked as the director of marketing within the Office of Marketing Communication. Her roles included coordinating SUU’s press coverage, content marketing, video creation, crisis management and direction of social media efforts across multiple platforms. Along with managing all marketing activities, including print, online and social media tools, the executive director oversees a team of creative professionals and actively collaborates with senior university leadership, faculty, staff, students, alumni, and industry partners. Prior to her employment at SUU, Koontz was the Media and PR Manager for the Utah Shakespeare Festival for more than four years. She became an adjunct professor for the SUU Arts Administration program in 2014 and teaches courses on marketing, event planning, and technical writing. She was a Hilberry Theatre Fellowship recipient and earned her MFA in Theatre Management at Wayne State University in Detroit, MI. She holds a BA in Theatre from California State University, Fullerton.